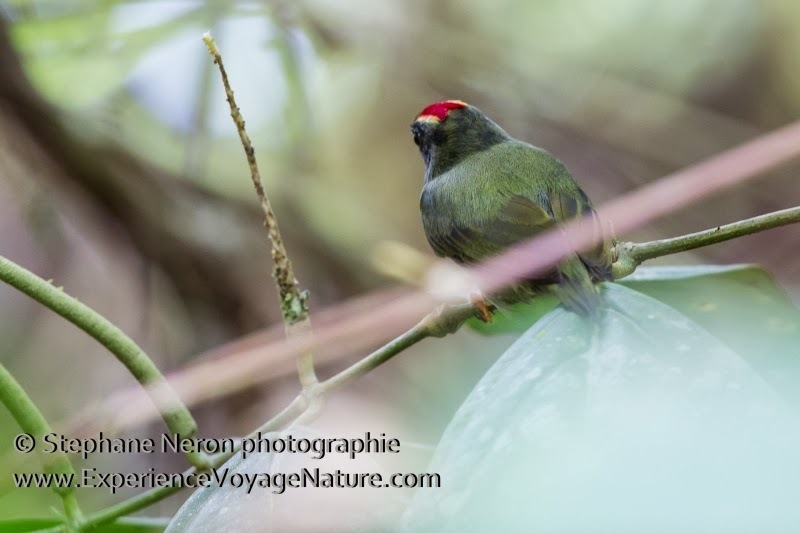 On 30 December 2013 Stephane Neron photographed the bird shown on the photo. 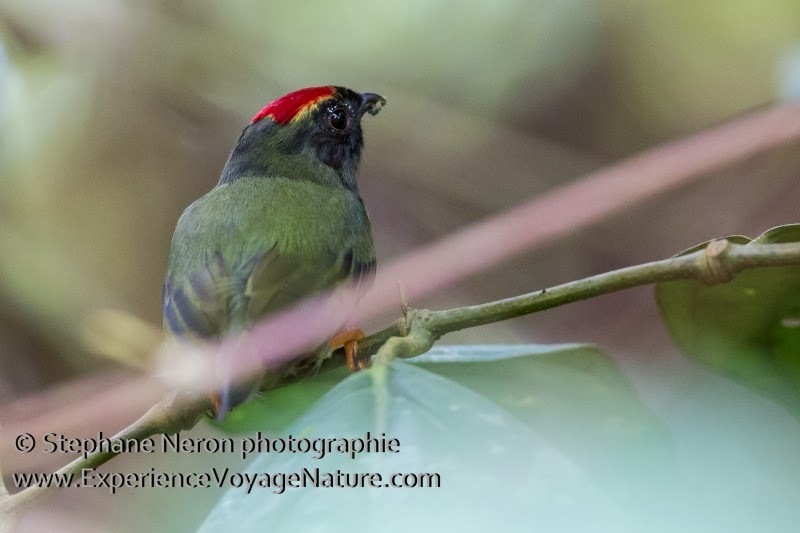 It is a juvenile male lance-tailed manakin, but with a difference: it has two clear yellow lines along the red cap. The bird was seen along the first part of the Los Pozos trail on Coiba. The bird was seen again on 6 January 2014 in the same area. 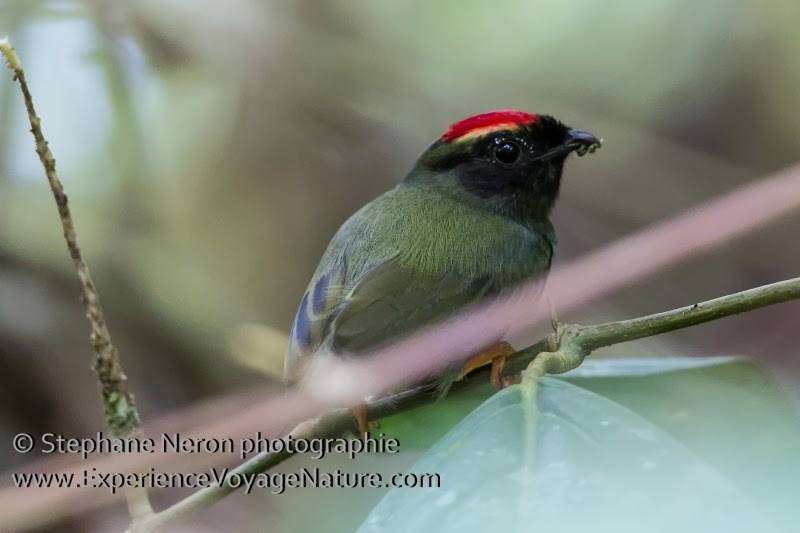 I have never seen this before in a lance-tailed manakin. Anyone any idea or suggestion?